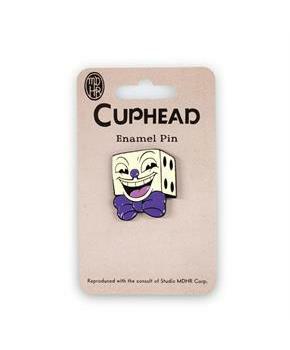 Show off your love of the hit animated video game Cuphead with this collectible pin! Real metal enamel pin features the portrait of King Dice, one of the main bosses in the game! 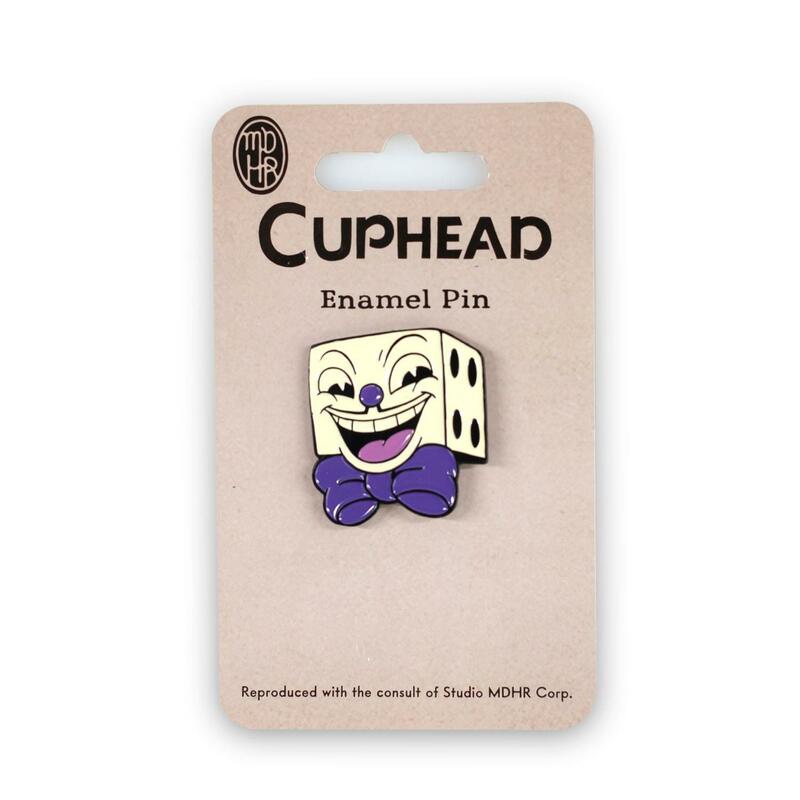 Officially licensed pin comes on a Cuphead themed backer card. Produced the consult of Studio MDHR Corp. Sure to make a great gift for your favorite Cuphead fan!